There’s been a lot of harsh words written and spoken the last few days about Donald Trump’s immigration policy which demands that families who are caught crossing the U.S. border illegally, even if they are seeking asylum, have children separated from their parents and placed in camps and detainment centers. 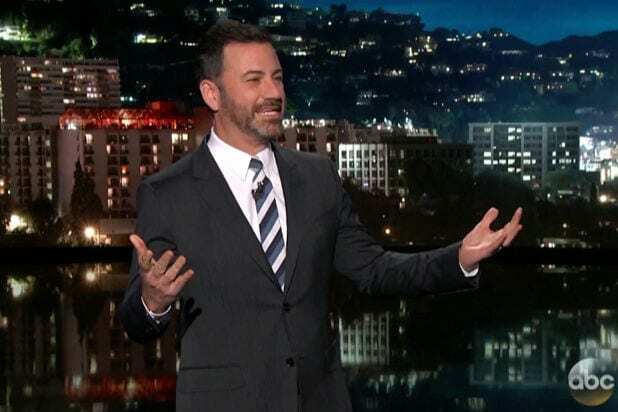 Jimmy Kimmel was disgusted by the actions as he opened his own in his monologue on “Jimmy Kimmel Live!” Monday night. Kimmel then cued a video of “Fox & Friends” host Steve Doocy providing some commentary over footage of children locked in a detainment center and acting like everything is cool. Kimmel’s audience responded to the question by yelling “cages!” in unison. The crowd groaned at the joke, and Kimmel turned and pointed at his house band, prompting a rimshot from the drummer. “Thank you,” Kimmel said. In case you aren’t familiar with “Sophie’s Choice,” the titular choice comes when Sophie, played by Meryl Streep, and her two children, a boy and a girl, are taken to the concentration camp at Auschwitz — the Nazis demand she choose one of her children to be taken to the gas chamber and the other would go with her into the work camp. You can watch Monday’s episode of “Jimmy Kimmel Live” on ABC.com here or on the ABC app.